New apartment development at Kangaroo Point. 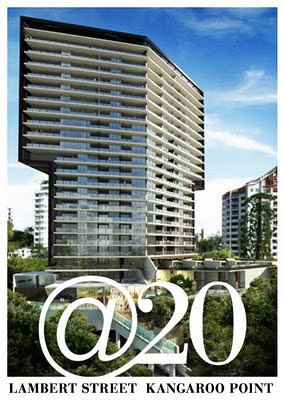 It will be twenty storeys. One bedrooms from $340,000; two bedrooms from $490,000. See At 20 website or alternative website.